A focus on innovation is what allows Godrej Agrovet to create a variety of products to increase the productivity of Indian farmers and cultivate a greener future. The Godrej family entered the Indian market with the foundation of the Godrej Group in 1897, and now operates in a number of sectors, including real estate and appliances. Godrej Agrovet is their highly successful agribusiness company. When Balram Singh Yadav took over the role of Managing Director in 2007, by his own admission the company was not in a “good shape.” It had branched outside of its core activities with unsuccessful results. After selling off some businesses and expanding others, Balram has managed to turn the company around. Godrej Agrovet is now valued at around US$1 billion. At the forefront of the company’s continued success is its pursuit of innovation. The Nadir Godrej Centre for Animal Research and Development opened in 2015 with an aim to improve animal productivity. Just as envisioned, it’s a state-of-the-art animal husbandry research centre. Increased agricultural productivity is the name of the game for Grodej Agrovet. One of their core interests is Agri Inputs, a business that provides a wide range of agro-chemical products for increasing farm yields, such as plant growth promoters, soil conditioners, and cotton herbicides. They also work in animal nutrition, oil palm production, hybrid seeds and processed poultry. 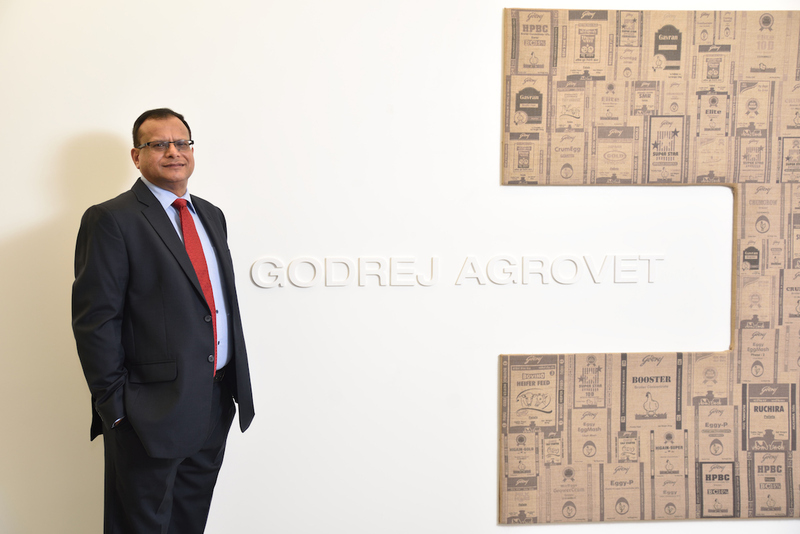 Like their parent company, the Godrej Group, Godrej Agrovet doesn’t keep all its eggs in one basket. Of course, there is no innovation without a skilled workforce that has the ingenuity to carry out the required research. That’s why the R & D department is full of highly skilled, PhD-qualified scientists and researchers. It’s clear that Godrej Agrovet values and invests in its employees. Balram says the people processes and talent management is driven by our philosophy of ‘tough love’. We bet on potential talent and offer challenging opportunities early on in their career. Godrej Agrovet advances its position and expands its offerings through a combination of organic and inorganic growth. In 2008, partnered with US poultry company Tyson Foods to grow its brands, Real Good Chicken and Yummiez. And in December last year, it acquired two new businesses. One thing the company is trying not to grow, however, is its carbon footprint. The Godrej Group wants to help build a ‘greener India’. It is increasing its production of ‘Good and Green’ products that are safe and environmentally sustainable. Other goals include producing less waste and reducing water and energy consumption. “We have excellent pollution-controlled facilities and are using less electricity, as well. And our target is that 20% of our energy should come from renewable sources like wind and solar,” Balram explains.